Delight Okeke worked as a tutor for Fire Tech Camp through 2014 and 2015. 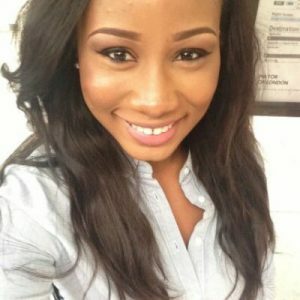 Below she shares how her time teaching kids to create and innovate with technology inspired her to change her more “traditional career” plan of working in the Oil & Gas industry to exploring roles in the technology sector and eventually, landing a position as a Technology Analyst at Accenture. Being a tutor at Fire Tech Camp is more than a job! Whilst inspiring the next generation of leaders and makers, you have the chance to see the future of work and arm yourself with key skills top firms are looking for. When I started my Chemical Engineering degree at University College London (UCL), I had the next five years of my life figured out. I was going to graduate with First Class Honours, move back home to Nigeria and start working in the Oil and Gas industry. I’m happy to report that not everything worked out as planned and boy am I glad it didn’t. I’m currently a Software Engineer at Accenture UK and I’m about to tell you what inspired my career change. In Spring of 2014, I scanned through the available opportunities on the university’s job page in search of a summer job and stumbled across Fire Tech Camp’s Tutor job posting. At the time, it was a recently founded technology camp for little and not so little humans. I would get to teach? How exciting! I sent my CV to the email provided and shortly after, Jill (camp founder) reached out to set up a virtual meeting. During the meeting, Jill was interested in getting to know me and what motivated me. I told her about my four younger siblings, my love for children, my passion for education and my ability to learn quickly. We then set up a face-to-face meeting during which she showed me the material I would be teaching as a 2D Animation tutor and a Video Game Design tutor and gave a run-through of the applications we would be using. I was thoroughly impressed and even more excited to start. I completed the mandatory training and attended the training event the camp set up for new tutors, which I certainly needed it as I was going to be teaching for five weeks! It was clear this was going to be serious business and that Jill was determined to give each student who walked through the door the best experience. Thus, I was even more inspired to bring the best me to camp when it started. That summer I tutored for the five weeks and I can easily say those were the most strenuous and most fulfilling weeks I’d had in a long time. I taught 40+ students and few things compare to seeing the joy on a student’s face when they’ve fixed a bug in their project/code. See below for my unofficial feedback on twitter after my first week. It was also during those five weeks that I got more exposure to coding. Sure, I’d used Matlab during my degree, but it didn’t quite have the same effect. 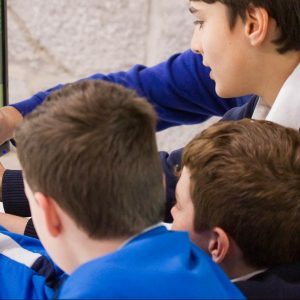 GameSalad, the platform we used for the Video Game Development course, utilises drag and drop programming and teaches valuable logic and architecture skills. The students had to think of what they wanted their game to do then determine the best way to structure their code to achieve their desired results. They could see in real time, the results of the code they’d compiled. If that isn’t programming, I don’t know what is! I found myself getting more and more engrossed in their work. When a student had a bug, we would sit down and take a step by step approach to figure out what had gone wrong. If we couldn’t fix it before camp closed for the day, I would take it home and work it out so I could teach the student the next day. Yes, I was that into it! More into it than anything I was taught during my degree. It made me wonder why I’d never considered a career in Computer Science/Software Engineering. I’d always been a logic lover; Mathematics was my favourite subject after all. However, Chemical Engineering seemed like the ‘logical’ choice since I also loved Chemistry and liked Physics. I’d also considered becoming a cardiovascular surgeon as a 7-year-old because I loved helping people — logical until I realised I didn’t quite enjoy Biology. I know I risk overusing the word, but I didn’t have a logical basis to explore Software Engineering until I’d had the experience of teaching students how to build games and how to debug what they built. That was when I started considering which programming languages I could learn myself. I started with HTML/CSS, which isn’t quite a programming language, but it provides a very solid foundation. I dabbled in Java and though I struggled initially, I enjoyed it. I read all the theory I could find about Computer Science and Software Engineering, attended technology events, basically used every resource that was available to me. I became even more convinced that a career in Technology was what I wanted. I applied to an Accenture Inspiring Women event, got fast tracked through the application process and the rest, as they say, is history. Although I felt all shades of unqualified when I sent my CV to the email provided in the job posting, I’m so glad I sent it! What started out as a simple summer job search, led me to where I am now. Even if it hadn’t, I would still be glad that I did it because teaching those students technology was an experience that money couldn’t have bought me.